Gerald Cavendish Grosvenor was born on December 22, 1951. He has been married to Natalia Ayesha Phillips since 1978. They have four children. 1 Former brother-in-law of Patrick Lichfield. 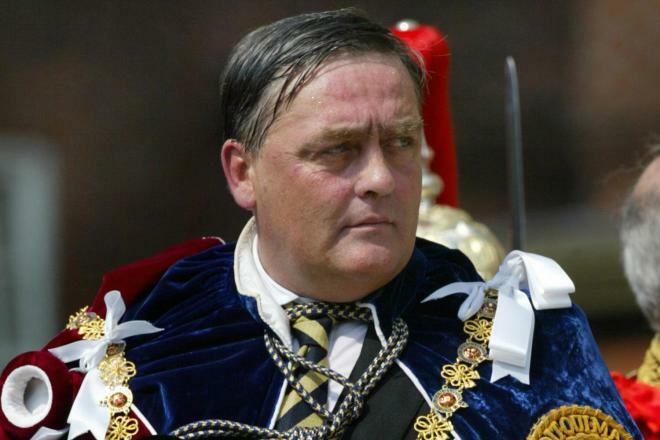 2 He succeeded his father to become 6th Duke of Westminster in 1979. 3 He was awarded the Territorial Decoration in 1994. 4 He awarded the OBE (Officer of the Order of the British Empire) in the 1995 Queen's Honours List for his services to the community. 5 He holds the rank of Major-General in the Territorial Army. 6 He became a Freeman of the City of London in 1980. 7 He has been a Deputy Lieutenant for Cheshire since 1982. 8 He was awarded a Knight of the Order of St John of Jerusalem in 1991.